How Can You Crush SEO For Your Business? What does your business need to do over the next 3-6 months to really nail your SEO goals? Where should you invest your resources in order to rank higher and get more traffic? There are no quick tricks for hitting these goals. We’re talking about investing into your business’s long-term growth and it doesn’t happen overnight, especially not for SEO. None of the following principles are easy to execute. But it’s well worth it because when we pull these things off, we get you an enormous competitive advantage against everyone else in your industry. You already know the concept of “adding value” as a general business principle and it works the same way in SEO. Those who create the greatest amount of value can earn the greatest amount of success. Help people, make their lives better, make their businesses run better, make things more convenient for them, and the value you create for them comes back to you. But be strategic. Just like in business, in SEO you also have to be very focused with the value that you choose to create because you only have so many resources you’re looking to commit to your business’s SEO. 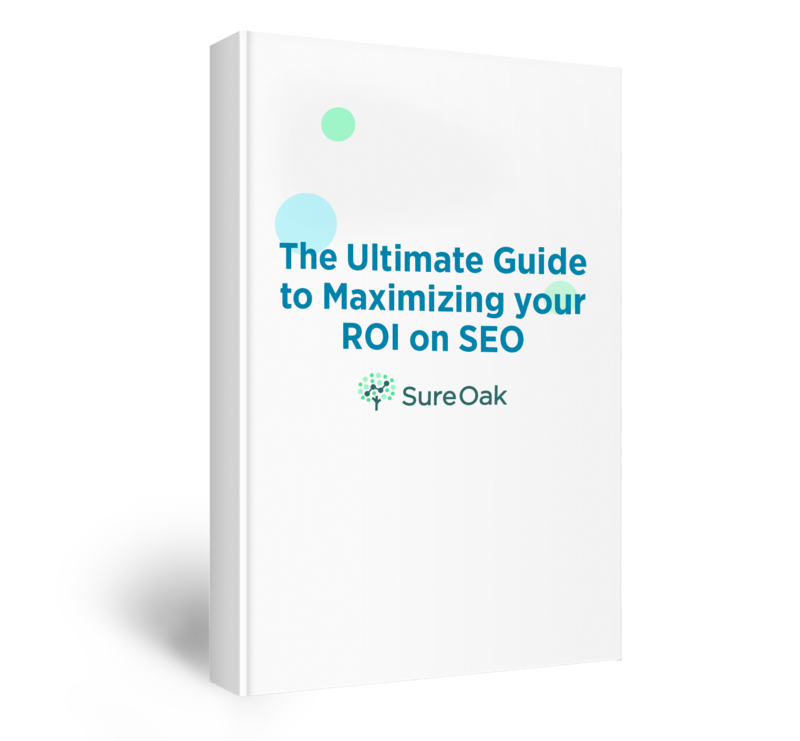 You want your resources to be properly focused and directed to get you the best SEO ROI. For example, create a free online course, a comprehensive content guide, or a free helpful tool for your potential customers and if you make it phenomenal, people will share it and link back to it. And you will get rewarded for the value you have created for others. Moreover, when you create real value that’s actually helpful and useful for people, you’re not subject to algorithm updates. If it’s evergreen content, it should be just as helpful 2 years from now as it is today. But to be honest, it’s not enough to just “create some awesome stuff” and then let it sit there. You’ve also got to get it in the hands of the right people. Creating amazing stuff is really simple in theory – but not easy to execute. Thus it creates a natural, competitive, barrier to entry. If you want to be successful with SEO for your business, you have to reverse engineer your business’s goals and work backwards. While this sounds painfully obvious, you would be surprised to see how many businesses are making this mistake today. You don’t want just a ton of random traffic coming to your website. You want highly targeted prospects coming to your website — people who will buy your product, become your paying customer, and grow your business’ revenue. So start with the end in mind and work backwards. If your ultimate goal is to get a prospect filling out your lead form, work backwards to what topics they’re interested in, where they are in the customer journey and sales funnel, and what information they are searching for. The higher the user intent, the more likely they are to convert. If they’re searching for “hire a consultant now” then they’re much more likely to convert than someone who’s just searching for “learn to do X”. Start out with your business goals and KPIs and then work backwards to figure out who you’re targeting and which keywords are the most valuable for you. Why would anyone be incentivized to link back to you? they are your source or reference for a statistic or a claim that you’re making. People need a really strong reason to link to you. People aren’t going to link back to you simply because you wrote a blog post about “The Top 10 Ways to Do X”. You need super-strong content. This goes back to our first point – when you’re creating uniquely valuable resources that no one else is, people will want to link to your stuff because it’s inherently valuable. Simple. Now compare this to asking for backlinks — also known as link-begging. How much do you really want to give something to someone because they’re just asking for it? Compare this to giving something to someone because you felt moved or inspired, and drawn to do so. Lead with giving, which is creating phenomenal stuff on your site, and then it will naturally attract backlinks because it deserves them. Not because you just want to rank #1 on Google [insert eyeroll here]. For example, you can learn about how to get .edu backlinks with our scholarship link building program here. This one is a superpower: Create original research. Guess who they’re going to cite as the source? Guess how they’re going to attribute it? This is so powerful, and it’s the future of SEO. You want to think about SEO like academia. Researchers conduct studies and publish their results. Other researchers read their results, and cite them as their reference for when discussing a topic. How does this translate onto the web? You can be that citation. That’s the most powerful place to be and in the process, because it makes you an authority too. This is how Larry Page and Sergey Brin originally conceived of Google. He who gets the most citations (which are backlinks) is the best resource and should rank higher. So, invest into conducting a real study. You can use your own internal company data, you can perform a survey, and you can even curate and review the existing data and research out there. The most important corollary of this is that when you’ve done the on-page work of creating this content, you’ve got to do the outreach. Contribute new insights, add industry-specific knowledge, and shed new light on an area. Create an industry research report. Present your findings in an easy-to-digest way, with interactive visualizations, charts and graphs, beautiful designs. Help users to see and explore new data, in a new way. We have seen this work across multiple industries, whether it is growth marketing for fintech, SEO for hotels, or lead generation in the solar industry. Be the source, be the citation, and be the reference. Google’s primary goal is to serve their users. So what they’re doing is giving the best search results to their users and when you are the best search result for Google’s users, you subsequently “get” that traffic. The key point here: serve Google’s users and you will get traffic. This is why you have to add value and give value to get something in return. Give Google’s users exactly what they want and Google will rank you higher because you are a better search result for Google’s users. Learn more here about the 3 most impactful ranking factors for SEO. You’ll know exactly what people are looking for, and you’ll give them exactly what they want. Focus on a phenomenal user experience because Google is tracking user engagement metrics more and more. Links that are harder to get and don’t scale are often more valuable because your competitors can’t snag them either. You get a competitive advantage when you get them. And any natural barriers to entry are going to give you an edge. Is a link truly valuable if everyone else can get the same one? Absolutely not. If everyone can do it, you don’t have an advantage. Think about it, if you can hire a cheap SEO to go out and build you a dozen garbage, easy-to-get links, how hard will it be for your competitor to go out and do the same thing? You’ll never beat them like that. Your results, in large part, depend upon your ability to get truly “editorial links”, the ones that you can’t directly control or create yourself. This is where so many people get stuck. Create super-valuable content or resources, and then, deliberately get it in the hands of the right people. When you have a budget dedicated to just SEO, you want to get the most bang for your buck on it. We need to strategically focus your resources for SEO on the highest impact factors to rank. It’s imperative that we invest in an intentional way and focus our resources and efforts to get you the highest ROI on your SEO investment. If you truly believe that you’re creating extremely high-value content, then you have an obligation to share it with the world. Derek Halpern says that you should even use the 80/20 model and only spend 20% of your resources on creating the content and on-page resources itself, and the other 80% of your resources on the outreach itself! Why? Because without backlinks and people sharing it, it’ll never get found! What good is your great content if nobody can find it? Your backlinks are the most heavily weighted ranking factor in Google’s algorithm. Without them, you’ll never rank. They are the ultimate and most impactful driver of your rankings. In SEO, it’s patently false that “If you build it, they will come”. Nothing could be further from the truth. If you tell the right people about it, a small percentage of them will link to it, and traffic will come. Build it and then will come does not work. Don’t be one of the failures that creating an amazing content and either told no one or a couple dozen people. After we create content, we need to go on the offensive and actively share it with those who are the most interested and the most likely to share it and link to it. We know this from our own personal experience. For example, back in 2013, Tom Casano, launched a brand new website with fifty well-written blog posts already on it when it launched. Fifty blog posts. That was a ton of work. And you know what happened? Absolutely nothing. Because nobody knew about it. There were no backlinks, and Google thought it was unimportant. No one knew about it. And to be honest, even if they had – very few would’ve been incentivized to link back to it anyway. Because there was no insanely unique or valuable content – it was merely blog posts. So how do we do outreach to get backlinks? We start out by targeting the right people who are highly likely to link back to it and we find them by looking at your competitors’ backlink profiles, and seeing who’s linking to them. Then we tell those same people about the new highly-valuable thing that you’ve created and a percentage of them will link back to it.